(a) in accordance with the need, with a cloth and water, remove the attachment on the body with oil and grease. 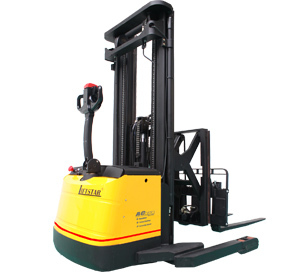 (b) cleaning the hydraulic hand truck body, the overall situation forklift vehicle inspection, in particular to check whether the vehicle dents or damage, whether the tire is punctured, whether embedded with nails or stones in the pattern. (c) fill the tank with the specified fuel. (d) inspect the Walkie stacker lift truck leaks oil. (f) Check wheel nut, cylinder rod joints is loose, if the piston rod surface bumps and pull marks. (g) inspect the mast rollers to rotate smoothly. (h) the lifting cylinder rise to the top so that oil from the fuel tank is full. (i) during the winter or cold weather, long-term antifreeze does not need to let go, if the cooling water is required exhausted.